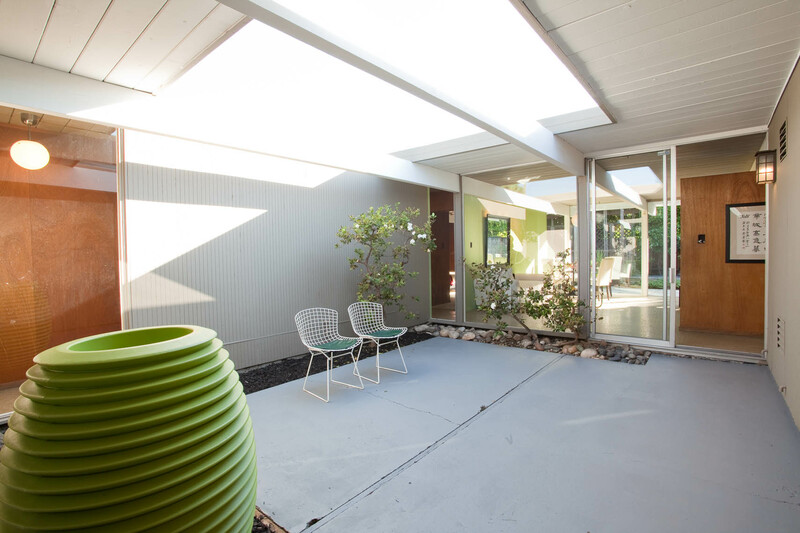 Many Eichler homes have been updated and modified over the decades, but if you have ever wondered what Joseph Eichler envisioned for the California Lifestyle in 1960, then come see this home! 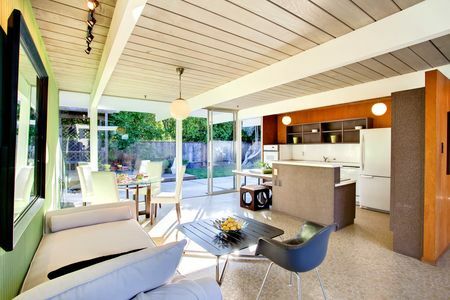 This is essentially a “preserved” home with almost all original elements still untouched and in fantastic condition. 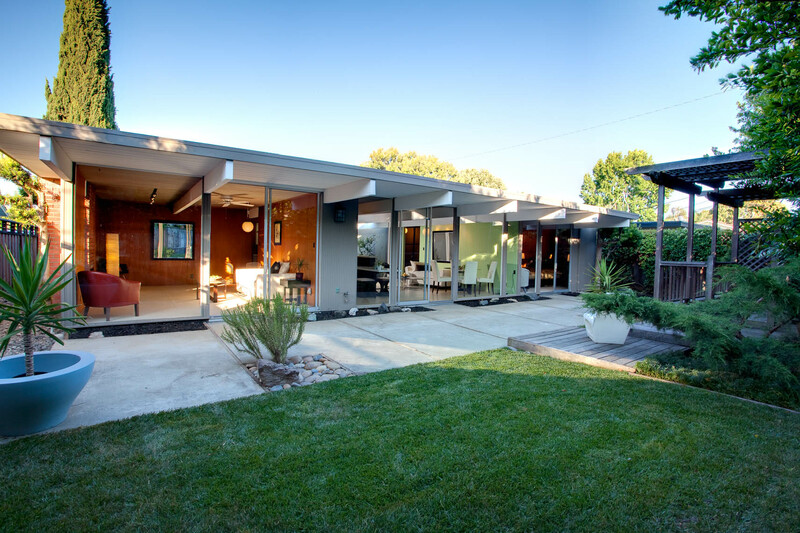 It is almost a piece of history — what’s old is new and this retro atomic ranch is very hip! 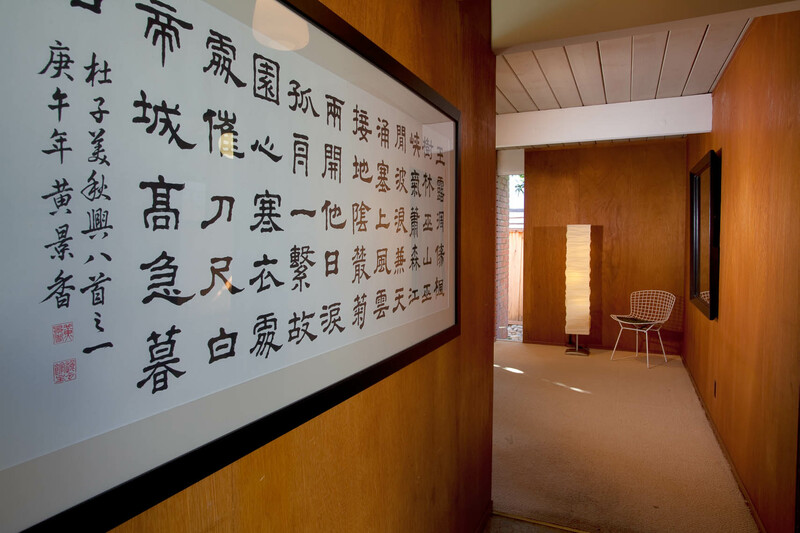 Highly desirable Fairglen neighborhood Atrium model, 1755sf with 4 bedroom and 2 bathrooms with what is labeled on the architectural drawings as a “Hobby” room — today it could be an office, den, or workout room. 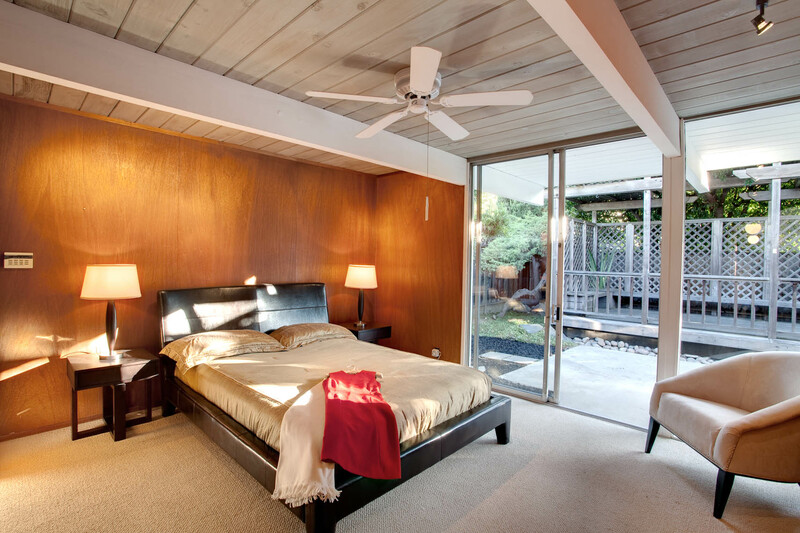 Mahogany wood paneling throughout — not a single panel has been painted. Tongue and groove ceiling never painted and remains in the original “pickling” gray stain, showing the natural wood grain. Kitchen cabinets and bathroom vanity cabinets finished in the original Zolatone multi-color spatter. 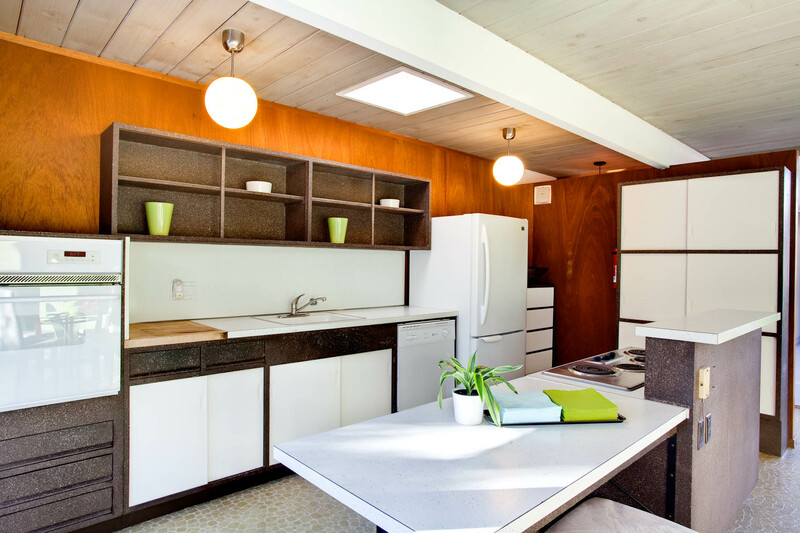 Formica countertops for the kitchen and baths still look new. 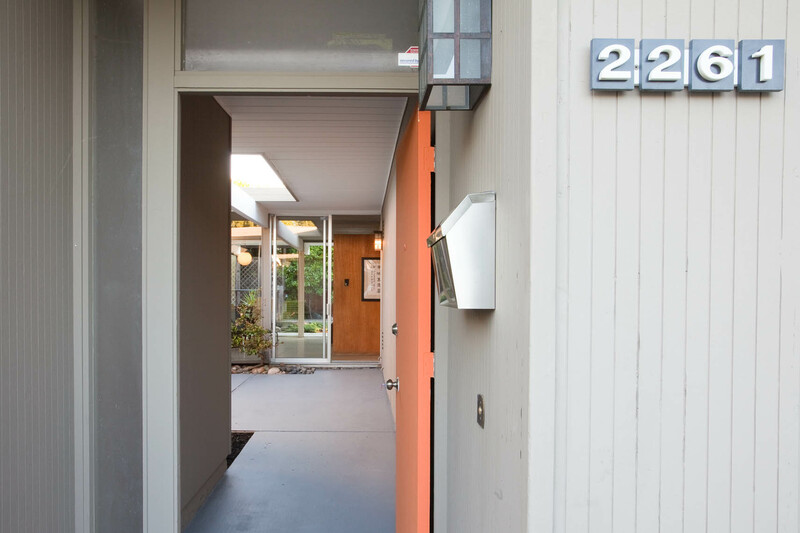 The vibrant Fairglen Eichler homeowners have annual block parties, organized garage sale days, and Eichler open house tours. It is just a short walk to Booksin Elementary, St. Christopher, and Presentation High School. 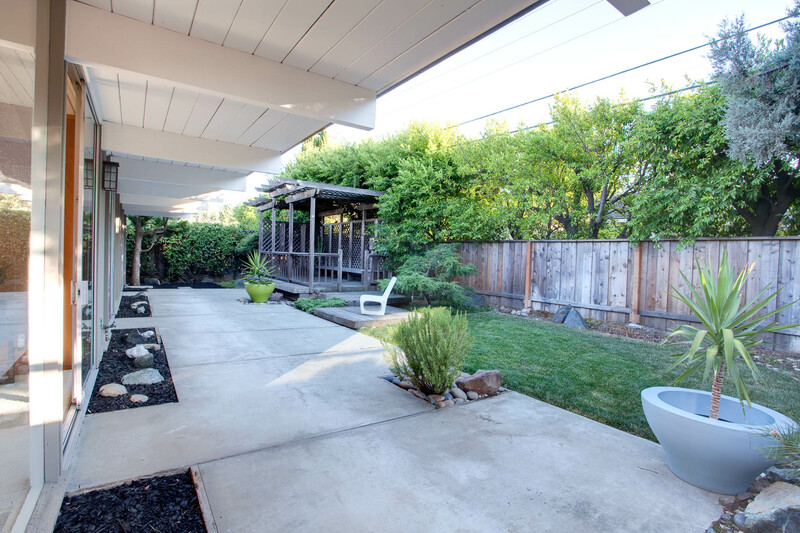 6000sf lot uniquely landscaped with mature bonsai trees give this Eichler an Asian flair. 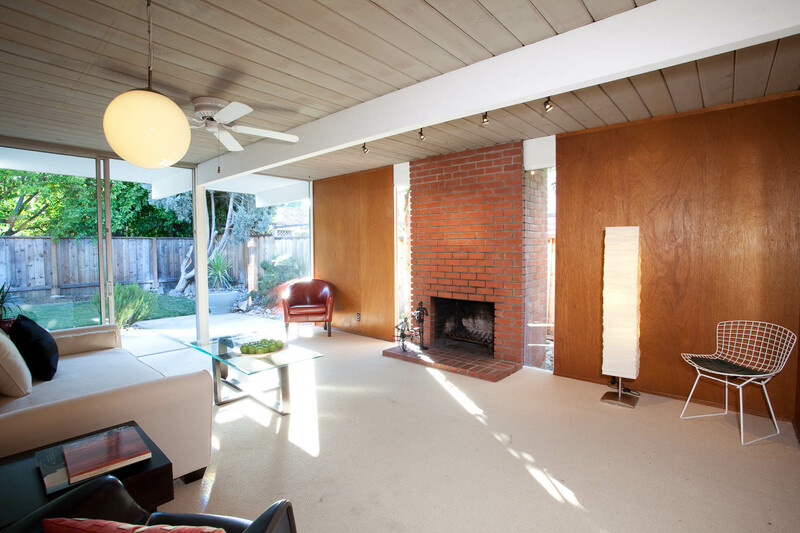 Offered at $650,000. SOLD for $700K. For more information, please click HERE. For more pictures, click HERE.